208pp, ISBN 0-245-51016-8, London: Harrap, September 1973, £2.25. THE REVEALING LENS is a series of ideas. It is not just a history of the microscope; it is an examination of the dawn of consciousness of the unseen world and its implications for science - and for civilisation. Microscopes are everywhere. The vital tool of the industrial scientist, the detective and the doctor, they are also found in every toyshop. Yet though the microscope has existed for three centuries, hardly any of the general public are aware of its operation or of the structures it reveals. Below the threshold of unaided sensory perception there is a teeming active population of living things which outnumbers the total of human beings who have ever existed. Below that again lies the atom. It is a hidden universe which determines the vast majority of the processes we call life. In this world too are found the seeds of illness. Increasingly we are learning to harness its power, whether to fight against disease, to search for solutions to world hunger, or to develop new technologies. Another departure in The Revealing Lens, from the pattern of previous books on the subject, lies in the fact that Brian Ford has probed behind the accepted version of the history of science. This revolves round a select band of luminaries, men such as Hooke, Pasteur, Jenner, Lister and Fleming, who have won the reputation of being titanic pioneers. Brian Ford contends that such a conception of scientific advance is much too simplisticthat virtually every discovery which is confidently attached to a famous name was in fact anticipated by earlier workers, only to be discounted because the time was not ripe for it. Thus The Revealing Lens is also a study of the processes of human discovery, of the social pressures which may be set up by a relatively simple observation, and the manner in which these social pressures may eventually lead to a change in the entire climate of thought. The Revealing Lens concludes with the startling observation that we still have a blind spot for microbes, and the author outlines a proposal for an important new law which would safeguard the public from a disease threat of unparalleled severity. A foreword has been contributed by a Past President of the Royal Microscopical Society, Professor John Bunyan of the University of Texas. 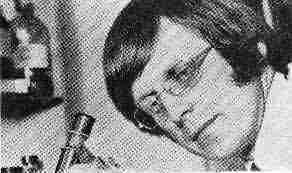 Brian J. Ford is a scientist who was brought up in London and now runs a well-equipped laboratory in Cardiff. His original research embraces many fields, including blood platelets, locust behaviour, image interpretation, specimen analysis and haemostasis. The author of more than a thousand articles and papers before he was 28 (when he says he retired) he has been guest contributor to a host of publications, ranging from the underground Oz to the London Times. His work currently appears in many reference books in Britain, the US and Europe. He has appeared regularly on both ITV and BBC broadcasts and has contributed to programmes abroad as well. He directed a series of short science films for television and has produced programmes for the BBC. In his spare time he has been a college lecturer and editor of specialist publications, including Science Diary. He is the author of several books, including: German Secret Weapons, with editions published in six countries - Gripping and readable New Statesman, Microbiology and Food, with editions in seven countries - Fascinating and important Journal of the Chemical Society, The Earth Watchers, and, perhaps his most popular and widely-known, Nonscience (published by Wolfe) of which reviewers said: Mr Ford is witty and enjoys playing with words . . . his point is worth taking Nature, An amusing new book . . . it takes an expertologist to spot an expertologist Sunday Times.